The One Question More Women Ask…. It’s probably the one question I hear women ask more than any other. It is likely the biggest area of frustration for a large percentage of my readers. And it is definitely one of the most difficult questions for me to answer. But, honestly, there are no magic verses or biblical formulas or even promises that God will give every woman a husband. In years past, I found myself telling women: “Seek God first and He’ll bring you a man.” But I have also seen that sometimes that doesn’t necessarily happen. I know some of you have been seeking God for years. And you still have no man. 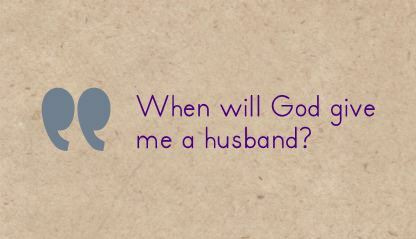 So a husband is not a litmus test as to whether or not you are putting God first in your life. After all, look at all the godless women who have husbands….or have had several!! But I will say this: “Love Jesus with all your heart, soul and mind and tell Him if He is all you ever have, that will be enough.” That does something to your heart — and to His. And when God becomes all we want, then we have all we want. When He becomes our First Love, we will be satisfied with only that love. When He becomes our all-in-all, we will have no need to look for anything or anyone else to complete us. I told God, in my early 20s, that I didn’t ever want another man in my life unless that man would draw me closer to my Lord. I had just come out of a hurtful 4-year dating relationship that had been a huge distraction to my relationship with God. I had also had a short, dangerous rebound dating relationship that had served as a wake-up call as to how easily I could forget God if I were to date or marry a man who doesn’t follow God with all of his heart. It had been a long season of relegating God to second place, rather than first. I knew that if my life were to please the Lord, He would need to remain first in my heart, no matter who entered my life. And God, in His wisdom, brought me a husband who made me cling even closer to my Lord once I discovered my husband couldn’t possibly meet all my emotional needs. God knows what it is that will keep us clinging to Him. So why would He ever give us our heart’s desire if it would result in our relegating Him to second place? Why would He give us the one thing (or person) that might keep us from clinging to Him? If you’ve prayed for a husband and God hasn’t answered, I don’t know why He has chosen to answer in that way. But I do know this: His “no” either means “I’m protecting you from what you don’t yet see” or “I have something far better for you that you haven’t yet asked for.” Trust Him. He is loving. He is good. And He has your eternal best at heart. If this blog is for you, please let me know so I can pray for your heart — and God’s blessing on your life — this week. Or, if you are someone who has comforting words to offer a woman who is hurting over this issue, please leave a comment in the space below to encourage her. Should you worry about your spiritual growth? on The One Question More Women Ask….. Thank you, Brittany, for your encouraging heart. Thank you Cindy for this article.I have been waiting for over 13 years since i was so hurt and broken after past relationship that left me in a state of giving up in life. I Now need a husband God”s choice is my prayer .Pray with me. Thank you Cindi, i feel a bit better reading this article cos i actually woke up depressed this morning. I tried prayering but tears rolling down my face & woundering how God would allow me be a widow at this tender age of 33 with kids to care for. I love Jesus but have being more concern settling down again & seems my prayers are not answered. I want to know you more JESUS! Thank you for sharing your heart, sweet Seun. You are in my prayers. God sees and cares for widows. I have been married and in love with a man I truly loved which broke my heart. But I can truly say through it all I have learned to be content…I am not sure if it is God’s will for me to be with someone. Right now I pray that if God has someone send him if not help me to KNOW that he has a better plan for me. That’s a wise prayer, Bernice. I have prayed since college for a husband and I’m 55 and about to give up. I love The Lord so much, but I can’t help but feel rejected, and this is becoming a hurt that is hard to get past – nevertheless I want to always be in tune with His Will. Patty, thank you for sharing your hurt over this. We live in a world that gives the message that something is wrong with us if we never marry. Yet, the Apostle Paul called singleness a “gift” and implied that God only chose those whom He knew could handle that and glorify Him in it. I’m glad your heart is focused on Jesus. Sounds like He wants you all to Himself. 🙂 You are in my prayers this week. This blog was meant for me!!!!! I’ve been praying for a partner,..
But,… I get the feeling that He doesn’t want me to be with anyone anymore….. I have no clue what His will or plan is for me. Thank you so very much Cindi. You’re welcome, Pat. Thanks for letting me know it spoke to you. I am praying for you and your discernment of His will, as well as your joy in His presence (Psalm 16:11). This is a great article. My prayers go to all godly single ladies who have been praying and asking God for a husband. At times it isn’t easy to wait but waiting is a process that God puts us through. Those waiting ask God to open your spiritual eyes not to miss His blessing in your lives. Hi Tabbie: Thank you for your encouragement to women who are waiting on God for a husband. Tabbie, please email me your mailing address at cindispeaks@msn.com….you won a devotional book on a blog contest of mine awhile back and I have been wanting to ship it to you. I am a single mom to a now 23 year old young lady. I was 18 when I had her. I didnt date at all after having her because I felt my focus was her. I never wanted her to feel second best to anyone. I figured I would date later in life. I have gone out on dates but I was never in a committed relationship. I have tried to figure it out but of course still haven’t. I try not to think about it but at times I do & wonder why it hasnt happened. I too have had people say put God first & everything will fall into place but it hasnt. I dont know why I remain single. I think I am average looking. I am full figured. I think I have a lot to offer the right guy. If you would, pray for me. For clarity & peace in this situation of my life. Thank you for this message. It touched me. Have a nice day! Thank you for reaching out, Brenda. I bet that’s one grounded, confident young lady you’ve raised. God will honor the way you have made mothering her a priority, I’m sure. He probably already has in many ways. Yes, I will be happy to pray for you this week. Thanks again for your comment. Cindy, my daughter is a very grounded. She is in college & she is pursuing a degree in elementary education. She is newly engaged to a young man she met at church. They have dated for 6 or so years. I am very proud of her & all that she had accomplished so far. My favorite scripture is Romans 8:28. I know God is in control of ALL things & He will turn things around for the way He wants things to be. Brenda, thanks for that confirmation about your daughter. I think it’s a testimony to other single moms who are raising children or young adults and might need to remember that God knows what He’s doing in the formation of our children’s lives, even if it feels like it’s at the expense of our plans or perceived happiness. Perhaps God withholds certain things in our lives (like remarriage?) so that He can bless us in other areas (in the well being and success of our children). His ways are not like our ways (Isaiah 55:8-11), but like you said, we can be confident that He works ALL THINGS (including our marital status) together for good to those who love Him and are called according to His purpose (Romans 8:28). I’m so thankful He knows far better than we do what is best for us and for our children. I have been praying for words of wisdom on this matter. After being divorced 25 years, I’ve been dating someone for a year. I believed the Lord put him in my life for me to love. He has been divorced for 3 years now, but carries a lot of his past into our relationship. Early-on we talked about marrying and serving the Lord together, lately I feel is pulling away. I’ve been on my knees trying to find wisdom on this matter. (should I let go, or….) When I examine the past year, I know I’ve put him first and quietly put God second. Your blog is a good reminder of what my priority should be. Thanks for your words of wisdom. You’re welcome, Cindy. I know how very easy it is to put someone who is right in front of us before the Lord when it comes to our hearts. We don’t even realize it’s happening until we’ve been disappointed or hurt. Thanks for your comments. Praying today for your wisdom. And I’m so glad to hear you are willing to seek the Lord for HIS best for you rather than determining it yourself. I hear so many stories of heartache from women who’ve chosen their own road and then later regretted it. 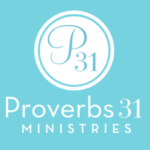 “In all your ways acknowledge Him and He will make your paths straight” (Proverbs 3:6). I am a single woman in my forties. Daily I seek to keep the Lord first in my thoughts and in my affections. But I wonder, how does one keep God first in her affections when she has someone right in front of her? I have struggled with idolatrous friendships in my past – putting my friends before God – and I don’t want to do that if the Lord decides to bring a godly guy into my life as a lifelong companion. It seems easier to make Christ my All and All when I don’t have anyone to share my life with. Karen, I think that’s what the Apostle Paul was trying to convey to believers when he wrote in 1 Corinthians 7:7 “I wish that all men were as I am” because he realized our first loyalty tends to be the person we are with, rather than our God. In my book, Letting God Meet Your Emotional Needs, I explain how to grow in intimacy with Christ to where we can see HIM as our spiritual husband and relate to Him as we would to someone right in front of us. It has helped me through the years to keep my focus on God instead of being idolatrous in my relationships, as well, like you mentioned. Your words speak truth and life into my heart. I have been single for a long time. The more I wait for His very best, the more I realize and get to know my Father’s heart and love for me. Both my parents are in heaven with the Lord and at times I feel lonely. The Lord is always there to comfort and assure me He is there and His love and grace is all I need. I am praying for God to give me my own family if He wills. Thank you, Rosette, for that beautiful testimony of being content and fulfilled in an intimate relationship with Christ. Like any relationship, we have to work at it. But like you said, He is ALWAYS there to comfort and assure you of His love and presence. Thank you for that encouraging reminder. Thank you Cindi! This article was absolutely written for me and I have just read it in just the right time. Please pray for me regarding this situation. Thank you, sweet Lazandria, for letting me know it spoke to your heart and where you are right now. I will pray for you. I know the longings of a woman’s heart run deep. But I am glad He is ever aware of the longings of our hearts. Two of my favorite verses, and I hope they will be for you, too, are Psalm 38:9: All my longings lie open before you, Lord; my sighing is not hidden from you” and Psalm 90:14: “Satisfy me in the morning with your unfailing love, that (I) may sing for joy and be glad all (m) days.” My book, When God Pursues a Woman’s Heart, might be very encouraging to you and any single woman, as well. You’re welcome, Candace. Thank you for reading and commenting. And thank you for your open heart to learn more about His ways and receive the comfort He has for you. Thank you, Cindi, for a wonderful article! After 16 years of single momhood, I can honestly say that God has brought me through those very tough years and given me the desires of my heart: to know Him at a deeper level, and to joyfully acknowledge that He. is. all. that I need. Thank you, Lynda, for those encouraging words that serve as affirmation that God can, indeed, fill us with Himself. I’ve known many women through the years who have admitted that they would rather be joyful and satisfied in Christ while single, than to be struggling through a marriage that they never imagined would be a struggle. Intimacy with a man, no matter how perfect he may appear to be, will always fall short to intimacy with the Perfect One, the Lord Jesus Christ. Thank you for living that, my friend, and for encouraging other women through your story. While I was waiting, God kept bringing this verse to my mind: “For your Maker is your Husband–the LORD Almighty is His name…” (Isa. 54:5). We are never without a husband, in the true sense of the word–a provider, a protector, a true lover. And even now that I have been married for more than 31 years to a wonderful man, that verse is still true. God provides for us what we need, what only He can, whether or not we are married. And He provides what no human can–perfect love. Thank you, Carol. That is the foundational verse behind the very first book I wrote, “Letting God Meet Your Rmotional Needs.” And you’re right…that verse applies to those of us who are married, as well…The Lord is our Husband. I love that book, Cindi! In fact, I bought a copy for each of my daughters. I appreciate your insights and perspective. Thank you for the encouragement and support you so beautifully offer to women in all stages and circumstances of life. Thank you Cindi for the encouraging article. I’ve always yearned for a husband, and used to pray about it all the time. I haven’t prayed about it in quite some time because I’ve had other things that seem more of an urgent need. I have felt closer to God though during this time and haven’t even thought about a husband. I’m sure as soon as I find a job where God wants me to be, I’ll start thinking about it again. But for now I’m content and I know that’s God changing me and working His good works in me. Thank you for the encouragement. Hollie, I’m glad God has you content where you are and He is keeping you focused. I love the way He lays on our hearts what to pray about and gives us peace not to even think about other things. I remember reading (as a teenager) “Passion and Purity” by my favorite author, Elisabeth Elliot, and she talked of being “as if asleep” until the time God would awaken her to His plans for her to marry. It was her way of resting in Him and not worrying over something she couldn’t control. Keep resting in Him. He knows the plans He has for you…. I stop praying for a husband and kids. I love God but I am extremely lonely. I guess you would say I don’t love him enough. I am trying to block out how lonely I am. Cynthia, I don’t think loneliness means we don’t love Gog enough. I think it just means we get lonely because as humans we were made for companionship and to live in community. I am praying for you and that you will realize that you never walk alone. Thank you Cindi for your sharing and writing. I love what you have to say in your posts. My desire is to have a husband. I am learning to surrender that to God and to know that I have a husband in him. I am in a long distance relationship and hoping that this is God’s will for me. How I missed this post of yours I will never know, but today it has been a God-send to me. I am 58 years old, retired elementary school teacher who has struggled with this question for quite a few years. Being saved at an early age, active in church, playing the organ/piano since I was 9 years old in church, but most of all loving my Lord and wanting to serve Him, I have found my life to be lacking in relationships. I have made my mistakes in past years in making wrong choices when it came to dating. I know now that I only want a Christian man, active in God’s work, a man that I can serve the Lord with, pray with and love with all my heart. The Lord being first in our lives and each other in second place. As of now, the Lord has not answered my prayer. Your post today — January 13, 2016, has encouraged me to focus on the Lord — and if His answer is really no – that I can find the peace and joy to be the witness that I need to be. Debbie, I’m sO glad you found the words you needed to be encouraged in Him. God’s timing, for sure. Thank you for your response. This was for me. I’m not divorced yet! But I know I don’t want to be alone . I want Jesus to be all I need . Please pray for me Cindi, that I have the patience for God’s great blessing and timing . I don’t want a rebound relationship . I want Jesus to be enough ! But still somewhere in my heart I want to be married . And like you , I want a husband who will love God first and serve in ministry . And my heart’s desire is that that man will draw me Closer to God as well . Thank you for your prayers . God bless you as well ! !!!! Thank you for your comment, Cesilia. Keep your eyes on Jesus. “No good thing will He withhold from those that walk uprightly” (Psalm 84:11, NASB). Thank you for this article. I have grown so weary because I cant stand this constant lonliness and want a christian man who will be the spiritual leader of my home, as I have a teenage son still at home and was in a very emotionally abusive and lonely marriage to their dad and have been divorced almost three years and know that I dont need a man to complete me that only Jesus can do this but at the same time; I know he created me with that longing to love and be loved. It is so depressing,Ill be 40 this year and feel like my life has no purpose and dont have confidence in myself and have only been lied to,used,and let down by men.Im not sure of what his calling in my life is but right now,feel battle depression and sadness daily. Karyn, Thank you for sharing your heart. Because you are feeling your life has no purpose and you don’t have confidence in who you are and what your calling is, I strongly suggest you read my book, When a Woman Discovers Her Dream. I think you’ll be encouraged to discover your dream and God’s purpose for you. Please keep in touch and let me know how that journey develops. Hi Cindi I have been waiting for many years for a Godly man to marry, I have had relationships that haven’t been the right ones and been very hurt. I am beginning to feel ready for a Christian man but am aware that I need to put God first. Hi Marinda. I’m glad to hear you are putting God first. As you seek Him first, I believe all the other things in life will come together, according to what He knows is very best for you (Matthew 6:33). He is aware of your desires and when He becomes your First Desire, He delights in granting you those other desires of your heart (Psalm 347:4). Thanks for your comment. Hi Cindi, I’ve been married 9yrs, & I’m trying to hold on to someone that doesn’t want to communicate with me. No physical intimacy for over 4 yrs. I feel very lonely with my husband, I know God hates divorce but that’s where were headed. Shirley: I’m so sorry at what you are experiencing in your marriage. It sounds like you have already been abandoned as a wife. When God said He hates divorce, He was referring to the hardness of heart that the Israelites displayed in divorcing their wives, rather than keeping their commitments to them to love them and care for them all their lives. Today, divorce often results from unforgiveness and develops into an ugly situation of bitterness. In God’s eyes nothing is truly “irreconcilable” unless one of the parties has a hardened heart and refuses to reconcile. Shirley, from my experience talking with women who are in situations like yours, their husbands don’t KNOW HOW to communicate at the level we are expecting or needing and therefore they clam up. . I suggest you read my book “Letting God Meet Your Emotional Needs” as a way of taking the expectation off of him and placing it on God. That is what you need for your own emotional survival. In addition, my book “When a Woman Inspires Her Husband” might help you win his heart back. He just might be in a position where he feels he’s so far behind and lacking in providing for you, emotionally, that he’s simply given up. That second book I mentioned would help you put him in the position of feeling loved again and perhaps give him the confidence to try again. You are in my prayers today that restoration would come to your home soon.